What will it cost to start a vending business? What do I need to do to jump-start my vending machine business opportunity ahead of my competitors? Let's start by answering the above third question first. Most would-be-entrepreneurs have an idea for opening a small business and, well, they just jump in and start their company. They fail to take advantage of, in this case, what works best in starting a vending machine business. The other 50% of entrepreneurs search for successful entrepreneurs who want to share their vending experiences. Investing $75 to $100 in the beginning can save you a ton of mistakes, wasted time and, of course wasted money. From personal experience, I suggest serious consideration for you to read and understand the above three resources as a means to achieve vending success. You will be miles ahead of the competition. Following Melissa’s 10 Rules is a smart beginning. Especially, follow her advice about vending machine technology. Securing high traffic locations for your machines is key. Think Big. It takes just as much effort to go after great locations as poor ones. 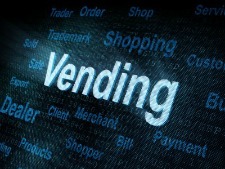 Make a point to build relationships with vending machine distributors. They want you to be profitable. They can help you with the machines of choice. They are a great source for financial vending business information on cost of product and suggested retail. In the U. S. there currently are well over 100 different kinds of products that are being vended. When making location calls for your machines take free product to distribute. Wrap a $1 bill around 3 to 5 products in your machines. This creates a buzz with people visiting the machines more often in hopes of securing that $1. Build a brand by attaching a logo sticker to each machine. As simple as this sounds, make sure your machines work, including the coin return function. Choose a reasonable geographic area in which to place machines. Remember gas, car maintenance and your time, are all costs of doing business. By the same token, do not over extend yourself. Finding machine locations for the sake of having lots of locations is counter productive. Select high traffic locations are worth ten poor low traffic ones. No matter if you start with just 1 mini machine or a large multi-product electronic machine, the question of financing arises when starting my own business. A new mini vending machine price starts at about $90 (gumballs) to nearly $5,000 for a super-duper does everything-but-the-laundry machine. To get a bank loan, generally, you must have good credit (a FICO score of 740 or more) and place 25% down from your personal assets. So while starting a vending machine business is easy, buying your machines may lead to quite an up front expense. Thank you for visiting Vending Business Information for Smart Success.